An Art Circus has been installed at Central Park. 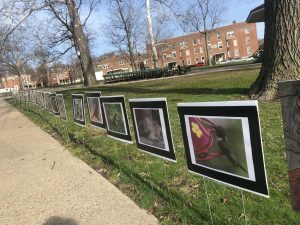 Hannibal artist Mark Wavering is displaying about 25 photographs and drawings of animals along the sidewalk in Central Park, the exhibit will be up through April 15. Wavering has exhibited his artwork in various venues in Hannibal, Moberly, Columbia and Quincy, IL.